Principal Cast : Neel Sethi, Voices of Bill Murray, Ben Kingsley, Idris Elba, Lupita Nyong’o, Scarlett Johansson, GIancarlo Esposito, Christopher Walken, Garry Shandling, Brighton Rose. Synopsis: After a threat from the tiger Shere Khan forces him to flee the jungle, a man-cub named Mowgli embarks on a journey of self discovery with the help of panther, Bagheera, and free spirited bear, Baloo. I wrote in my review of 2016’s other jungle-themed film, The Legend of Tarzan, that the character was one of those long-running franchises that I have little time for, largely due to apathy and party due to overexposure and a cloying sense than I was “meant” to consider the property far more iconic than it has a legitimate claim to. Similar thoughts followed me into The Jungle Book, the umpteenth adaptation of Rudyard Kipling’s classic story of a young human boy orphaned in the deep jungle, raised by wolves and sent on a journey to find his kind after Shere Kahn, the ubiquitous tiger villain of the piece, threatens harm. The original 1967 Disney animated film was my entry point to the story, and while we’ve had recurrences since – Jason Scott Lee’s 1994 version among them – none have hit with the resonance I’d have expected from such an iconic fable. Until now. 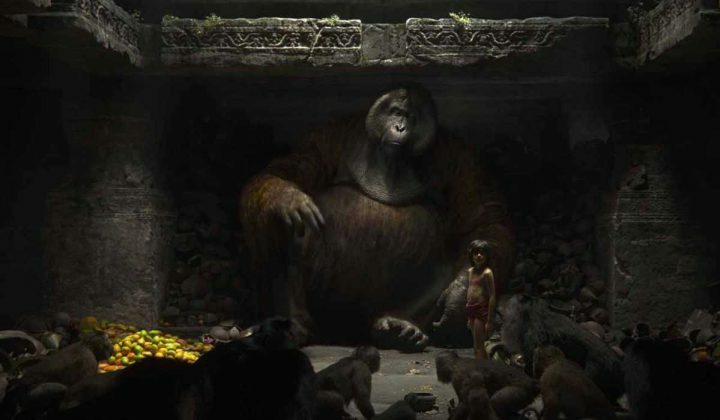 The 2016 version of The Jungle Book, to my mind, is far and away the superior version of any cinematic variety to-date, and quite possibly the best film of 2016 overall, in any category. Featuring a seamless blend of CG, live-action and Jim Henson’s puppetry, Iron Man director Jon Favreau crafts an instant classic from a well-known story, imbuing Mowgli – a terrific Neel Sethi – with innocent humanity, while surrounding the young actor with an assemblage of the highest quality CG talent and voice-work you’ll ever see. Because the animals in this film “talk” to Mowgli, the film runs the risk of a kind-of absurdist Babe-esque silliness, but it never does. I’m a big one for spotting dodgy visual effects work, catching where the seams of the artificial and reality lie, but truth be told, The Jungle Book is absolutely seamless: it’s impossible to determine what’s real and what’s fake, it’s that good. The wolf pack that raise Mowgli, with Akela voiced by Giancarlo Esposito and Mowgli’s adoptive mother, Lupita Nyong’o, looking absolutely real, as does black panther Bagheera (Ben Kingsley) and Mowgli’s on-the-road companion, giant bear Bahloo (a fantastic Bill Murray, working overtime not to sound like Bill Murray). 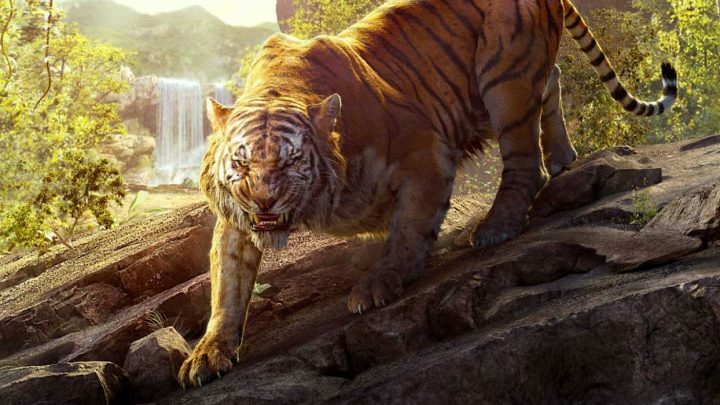 The film’s real genius is with chief villain Shere Kahn, voiced brilliantly by Idris Elba (Pacific Rim, Thor) is the high point of digital rendering on this film, and I think you’ll agree with me. Throw in a hilariously good Christopher Walken (complete with thick Nyew Yawk accent) as bulbous, voluminous King Louie – yes, he also sings “I Wanna Be Just Like You” – and a sinister Scarlett Johansson as enormous boa constrictor Kaa, and the film’s supporting roster vocally is superb. As I mentioned, it’s impossible to tell where the visual effects end and reality begins, the effects are so seamless. The film follows the well trod path of Kipling’s novel beat for beat – echoing the Disney animated version from which this film draws a lot of inspiration, particularly the two key songs held within – and I guess if you’re as familiar with it as I am you’ll find yourself expecting the story points rather than being surprised by them. In some ways it annoys me because there’s a sense of familiarity to the film, but when it’s so brilliantly rendered you can almost forgive it this issue. Favreau populates the film with a surprising roster of third-tier supporting animalia, from the cutesy minuscule possums, porcupines and denizens of the jungle undergrowth, to the menacing gigantors of the landscape; hippopotamus, elephants (who are given almost god-like reverence throughout) and wildebeest (there’s a stampede within the film that works just as well as the one in The Lion King, too), but the film’s heart and soul belongs to Mowgli. There’s something to be said for the pressure of Neel Sethi’s performance needing to encapsulate the innocence, the personal growth and complexity of emotion within the role, and to his credit (and Favreau’s I guess) the kid pulls it off marvellously. He looks and sounds natural in front of the camera, and he interacts with obviously digital co-stars with believably and sense of weight that can’t be faked. 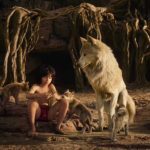 Mowgli’s vulnerability and obvious disconnect with the animals around him, despite being raised in their company, provides the story’s inherent sense of trajectory with a punchy, razor-sharp edge to it born not of specific drama, rather it comes from isolation and a disparate sense of wanting to belong. 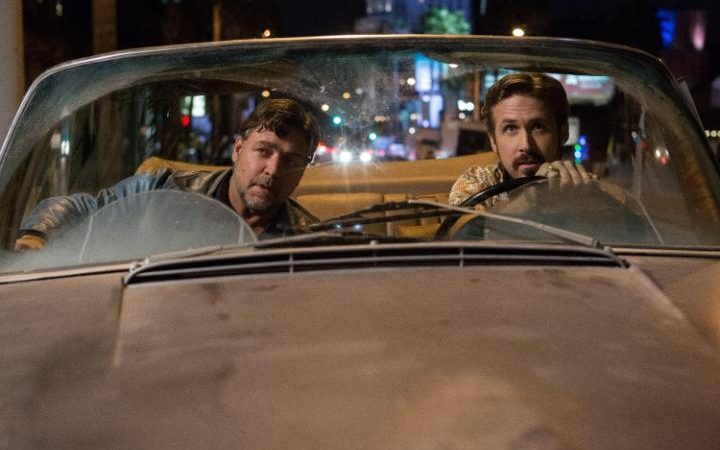 Although the themes aren’t really nailed by screenwriter Justin Marks, the film’s eternally forward-thinking mantra carries itself with enough strength and proportionate philosophy to tickle the grey matter as much as it excites the adrenal glands. 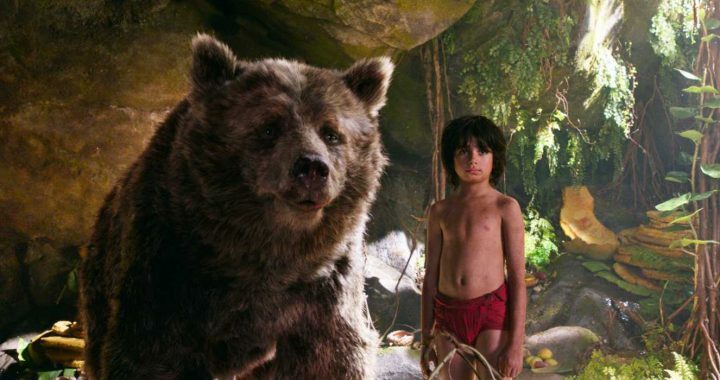 One thing The Jungle Book doesn’t do is shy away from its themes of family and belonging. Younger kids might flinch at some of the film’s darker sequences (particularly any scene involving Shere Kahn, who, at times, is positively terrifying) and ask questions about Mowgli’s deceased father (as with a lot of Disney films, parental abandonment and/or death is a long-running trope), but there’s never a sense of whitewashing the difficult answers from the viewer. It’s an incredibly dark film at times, this one, as danger upon danger lurks within the crevasses and chasms of the jungle’s dark spots, but Mowgli’s nigh-ignorant lack of concern manages to keep the film on an even keel emotionally. Kudos to Favreau for tackling these kinds of themes with honesty (in a film filled with talking animals, that is!) and trust in the audience. I loved The Jungle Book, and that’s honestly not something I was expecting considering my feelings about the franchise to this point. Standing head and shoulders above 2016’s Tarzan entry, and one of the most engaging, entertaining and fun films of 2016 thus far, The Jungle Book is hugely enjoyable and comes utterly recommended. A real gem. I didn't love this film on first viewing I think because the original disney animation is my favourite animated movie ever and I was probably nitpicking a lot. Absolutely loved it on second viewing! I find it increasingly hard to find films nowadays that I can say will be modern classics instead of part of a 16 movie long big screen TV show but this is one. See, i was never the biggest fan of the animated film, mainly because I felt the art to be second-rate and the emotional impact of the film diminished because of it. This film nails the emotion and heft of Kipling's book a load better, IMO, and I truly hope it does become a "children's classic" the way Neverending Story and Goonies did for my generation.